In an effort to keep Iran backed forces and Islamic State jihadist away from the Syrian-Israeli border, Israel provided funding and arms to 12 Syrian rebel groups, according to a Foreign Policy/Times of Israel report. Beginning in 2013 and continuing until Syrian government troops recently retook areas near the Golan Heights this past July, Israel provided arms which included assault rifles, machine guns, mortar launchers, and vehicles. In addition, rebel fighters received a salary of $75 per month. Early in the operation, Israel provided smaller groups in places like Quneitra and Daraa with US-made M16 rifles that would not identify Israel as the source. In time, the arms included guns and ammunition from an Iranian shipment to Lebanon’s Hezbollah group that Israel captured in 2009. Although initially Israel’s backing was small when compared to that of other countries including Qatar, Saudi Arabia, Turkey, and the United States, in the past year Israel significantly increased its support, when it began backing groups of thousands of fighters as opposed to the smaller groups of hundreds. This was done as part of a determined effort to exclude Iranian-backed forces from the region. 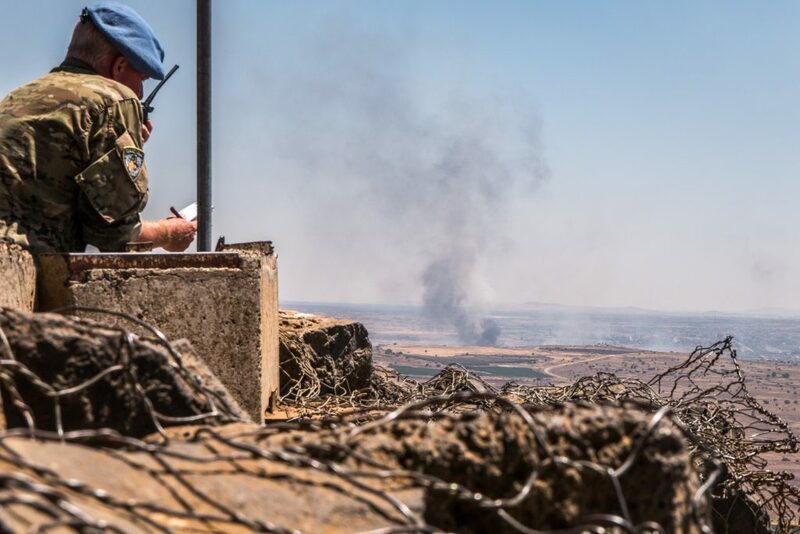 Foreign Policy reported that there was an expectation among rebel groups that Israel would intercede to help resist the government offensive near the Israeli-Syrian border. When Israel stood on the sidelines as government forces took up positions bordering the Golan Heights, the rebel groups were bitterly disappointed. Israel reached an understanding with Russia that Iranian-backed troops would not be permitted to infiltrate the border area, and Israel abruptly cutoff its funding. A handful of commanders and their families were reportedly granted asylum, but most of the rebels seeking to flee from regime forces were turned back. Last year, Israel uncharacteristically commented on its scope of humanitarian assistance in Syria, including the treatment of chronically ill children, providing clinics in Syria, and supplying tons of food, medicines, and clothes to villages across the border. The army recently reported that it had quietly been working on Operation Good Neighbor, a multi-faceted humanitarian relief operation to provide basic medical treatment and avert starvation of thousands living in the region.